Kailash Kherâ€™s music is a delicate intermingling of Indian medieval music from Mirabai, classical Indian music inspired by Pundit Kumar Gandharva and strong strains of Sufi mysticism in the lyrics driven by Qawwali singer Nusrat Fateh Ali. All this firmly reverberates with his band members Naresh and Pareshâ€™s modern rock and funk disposition. All of this resonates, in his evergreen memorable. Born in a Karadiya Rajput Family from Meerut, Uttar Pradesh, Kailash was brought up in a musical atmosphere as his father regularly gave traditional folk song performances. By the age of four, Kailash impressed his family and friends by singing folk songs in a premature, but powerful voice. Although his father tried to dissuade him, Kailash left his home at the age of fourteen in search of a guru to further his training. Kailash left Delhi in 2001 for Mumbai in quest of learning classical music. The initial years were tough when he had to stay in cheap residential hotels, as he earned just enough to make ends meet. His first recording, a radio jingle for a diamond company earned him the equivalent of $100. His claim to fame came very quickly. His song Allah Ke Bande for the 2003 movie Waisa Bhi Hota Hai Part II became far more successful than the film and he became a household name. The song also won him Best Male Playback Singer Award at the 2004 Star Screen Awards. By 2004, he performed over 150 Hindi film soundtracks and sung in over eighteen languages in various regional films, and recorded more than 500 radio and Television advertising jingles. Some of the languages he sung in are Bengali, Bhojpuri, Gujarati, Kannada, Konkani, Malayalam, Marathi, Oriya, Punjabi, Tamil, Telugu, and Sindhi among others. The year 2005 saw him being the lyricist for the movie Kaal also singing the song Ankhiyan Teriya Ve along with Caralisa Monteiro. By 2006, he released his first album called Kailasa, which had smash hit numbers like Teri Deewani and Tauba Tauba. In the same year, he made an appearance for the song Oâ€™ Sikander for the movie Corporate. In between, he also sang Mangal Mangal for the movie Mangal Pandey. His band members play the Dholak, Tabla, Harmonium, Iranian Sitar, Santoor, Ravanahatta, Rabab, Saz, Qud, Khartal, Mor Chang Mandolin and Sitar. Such songs wherein devotees are trying to persuade their deity can be observed in his songs like Teri Deewani, Jhoomo Re, and Babam Bam. As a lyricist, he penned numbers for the movies like Traffic Signal (2007) and Dasvidaniya (2008) and Chandni Chowk to China (2009). In 2007, Kher participated in a concert tour in the US, Canada and the Caribbean entitled The Incredibles. The tour starred Indian singers Asha Bhosle, Sonu Nigam and Kunal Ganjawala. His second album entitled Jhoomo Re was released in May 2007 and the number Saiyyan was a big hit in India and Internationally. His third album called Chaandan Mein in 2009 was his first international album, released through the independent record label Cumbancha. His fourth album, Rangeele was released through his own company Kailasa Records in 2012. He also released another album entitled Ya Rabba. The Band, Kaliasha, has given concerts in more than 100 Cities worldwide from Ahmedabad, Delhi, Mumbai, New York, San Francisco, and Houston among others. Back in India, he gave performances at Amity University in Noida (2011), Manipal University in Manipal (2012), IITF Allahabad (2012), Nirma University of Science and Technology in 2013, Guru Nanak Khalsa College in Matunga (2013) and the TCS Youth Festival in Indore City (2013). The year 2013 saw Kher collaborating with Shreya Ghoshal for â€˜The Project Resound: Upgrade your Earsâ€™ wherein they composed and sang the song â€˜Naina Chaarâ€™ to promote the use of Sony Earphones. 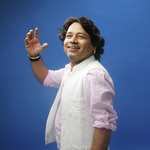 In 2014, Kailash Kher sang Joy Joy Ma for the Bengali film Arundhati. Filmfare Award for Best Male Playback Singer â€“ Bollywood: Faana & Telugu: film (Mirchi). He has appeared in various television shows, including Saregamapa Lil Champs (Zee TV), Mission Ustaad (9X), Indian Idol (Sony), IPL Rockstar (Colors) and Rock 0n (MTV).